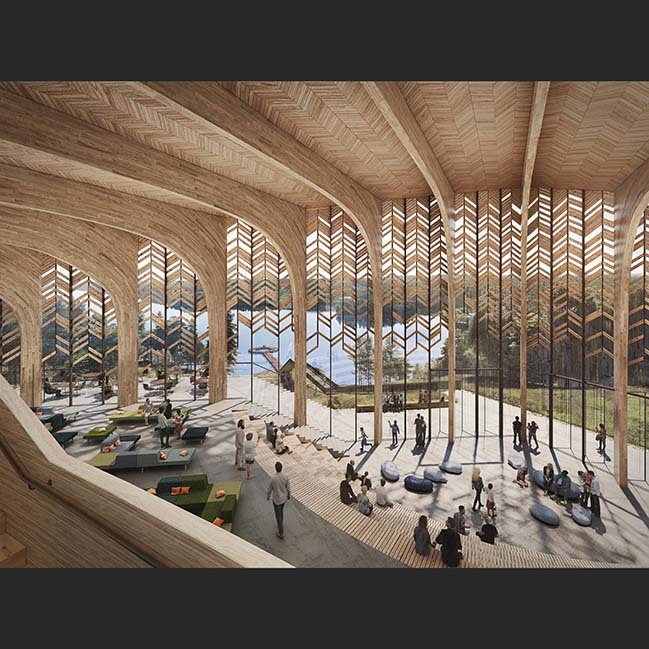 Snøhetta designs Wendelstrand – A Model for Sustainable Living on Sweden’s West Coast. 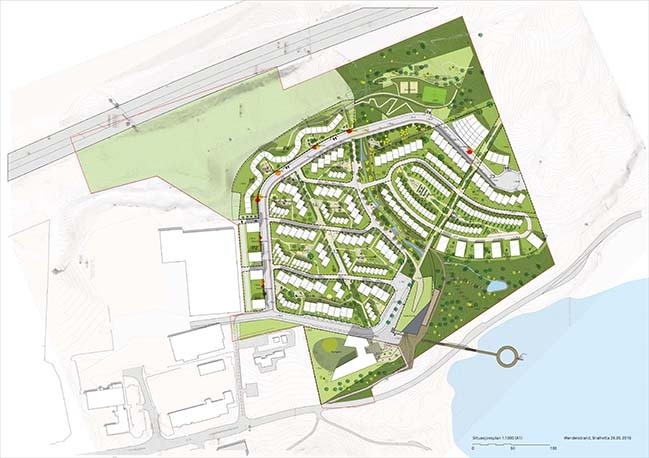 Once the quarry is discontinued, the south-facing, sloping landscape will be transformed to accommodate for wooden dwellings spread over 70 000 square meters, including 10 000 square meters dedicated to preschools and senior housing. The pedestrianized area will also offer a variety of spaces dedicated to play and recreation, ideal for families with young children. Wendelstrand also has the capacity of becoming a pioneering project to test our innovative, sustainable transport solutions. The area is ideal for bikes and pedestrians and projects for carsharing, electric cars and bikes and self-running buses are envisaged. 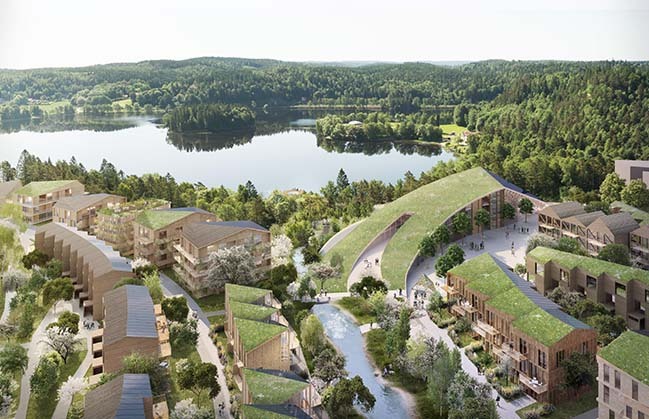 Preschools and senior housing will be strategically placed next to the centralized parts of Wendelstrand, dubbed Skogsparken. The space is characterized by a plaza and a 2,500 square meter publicly accessible meeting place and restaurant dubbed Lakehouse. 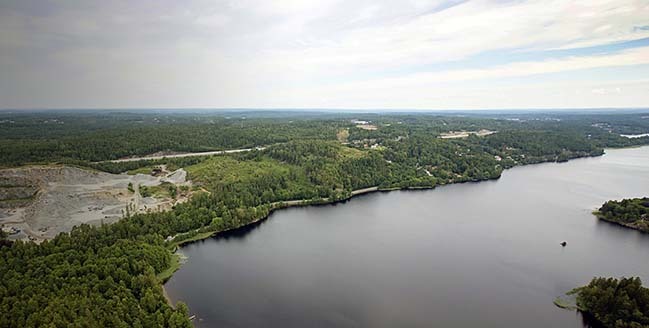 The Lakehouse promotes social sustainability within the area and is situated only a short walk or bike ride away from the Landvettersjøen lake with its publicly accessible pier. The Lakehouse is a wooden, sustainable building that will function as a natural social meeting spot for inhabitants of Wendelstrand. The building blends harmonically into its surroundings and the sunny west facing plaza will offer a café and outdoor seating. 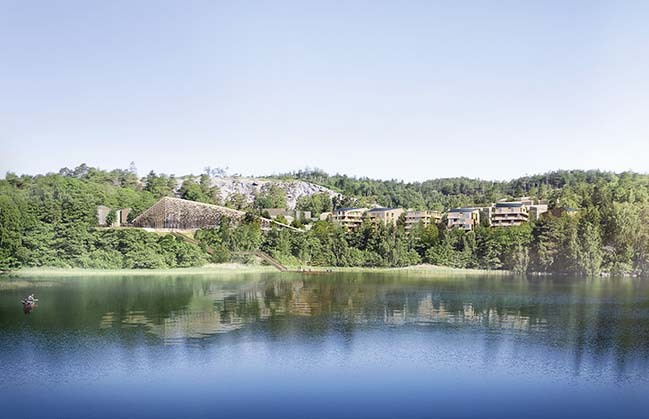 Close to the old quarry, terrace housing will follow the sloping of the west-facing hill, allowing for optimal sun conditions throughout the day and beautiful views overlooking the lake. To the North, dispersed buildings established above terraced parking facilities will offer magnificent views to the South. The green roofs of the parking facilities will accommodate for a wide range of activities, including sport courts or playgrounds. The roofs of the buildings are strategically designed to harvest the maximum amount of solar energy through PV cells. Roofs facing North are covered with plants and grass to encourage biodiversity and secure good rainwater management throughout the year and shifting seasons.